It's important to store AdBlue safely to prevent it from coming contaminated. We have a range of AdBlue tanks on hand, available nationwide, with efficient deliveries. Here at Crown Oil, we can supply the AdBlue tanks you need to keep your supply safe and secure. If you have one or more large diesel engines running on a regular basis, then keeping a tank of AdBlue onsite will eliminate the need to keep reordering the chemical on a regular basis. Would you like to know more about our AdBlue tanks? Then give us a call on 0845 313 0845. One of our team will be more than happy to answer any questions you may have. To make sure your AdBlue supply lasts as long as possible, it needs to be kept at the right temperature. If you can keep it between 0ºC and 30ºC then it will last for quite a while and remain in great condition throughout that time. It is always important that you store your AdBlue properly. The chemical is quite susceptible to contamination, either because of a foreign substance or poor storage. That is why it’s vital you find a good supplier of AdBlue tanks so your supply doesn’t get contaminated. Crown OIl has been supplying fuels, oils and lubricants for over 70 years to customers across the UK. We’ve put all of this experience into ensuring that our customers get the right storage solution in order to safely and securely store their fuels, oils and lubricants on-site. Our team can work with you to ensure you receive the right storage solution for your purposes, needs and requirements. Our customer support staff is among the very best in the business. Regardless of whether you need some support and advice, or want to place a fuels or lubricants order, they are always ready to help. Whenever UK businesses require fuels or lubricants delivering, we’re their first port of call thanks to our long-standing reputation for always ensuring their orders are delivered in under 48 hours of placing their orders. We can even get it to you in less than 24 hours with our emergency fuel delivery service. As soon as your new Adblue tank has been installed, we won’t keep you waiting for your first Adblue delivery to fill your new tank. We offer priority contracts for businesses that simply can’t go without fuel. 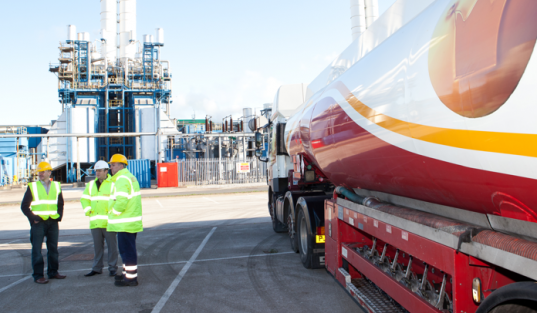 We can tailor your contract to suit you and deliver the fuel you need within a matter of hours. Need help with a storage solution for other types of fuels and oils? Take a look at our storage tanks page for further information. To find out more and to see how we can help you with the supply and installation of your new Adblue storage tank. Give our friendly and knowledgeable team a call today on 0845 313 0845 to discuss your requirements and see how we can help you. AdBlue is stored in a separate tank next to your diesel engine. When the engine is running, emissions flow through the exhaust system and out into the air. To reduce emissions, AdBlue is sprayed onto the gases as they leave the exhaust system. This breaks down the nitrus oxides in the fumes so then there is only water, CO2, and nitrogen being expelled into the air. No matter where in the UK you are, we can provide you with an Adblue storage solution to meet your needs and requirements. To find out more, give our friendly and knowledgeable team a call today on 0845 313 0845 to discuss your requirements and see how we can help you.